Tags: Antique Print, Asia, Indonesia, Java, Sultan. No. 127. De Sultan van Djokjakarta op zijn troon. Java. 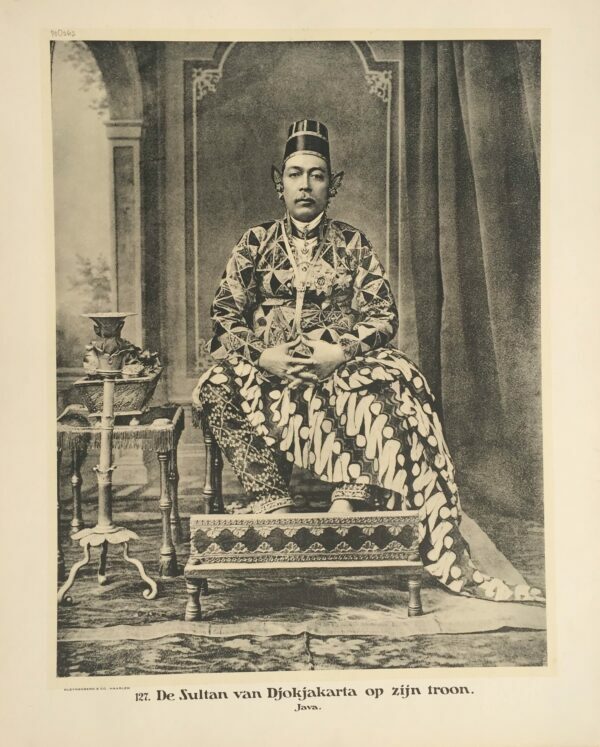 The Sultan of Yogyakarta was 70 years old when Demmeni took this portrait. For the occasion he donned full regalia including ear-coverings of images of Hindu gods. The string around his neck he was a descendant of the Brahmins.